Once a poor agrarian nation, Scotland's evolved into Europe's economic powerhouse after the Industrial Revolution, dominated by shipbuilding, coal mining, and steel manufacturing. After the 1707 Acts of Union, Scotland enjoyed the economic prosperity of the British Empire as it exported its products throughout the world. However, after heavy industry declined in the latter part of the twentieth century, Scotland's economy underwent a transition to one based on services and technology. In the 1980s, for example, information systems, electronics, semiconductor, and defense companies (among many others,) sprouted up en masse in the corridor between Edinburgh and Glasgow, which became known as Silicon Glen. 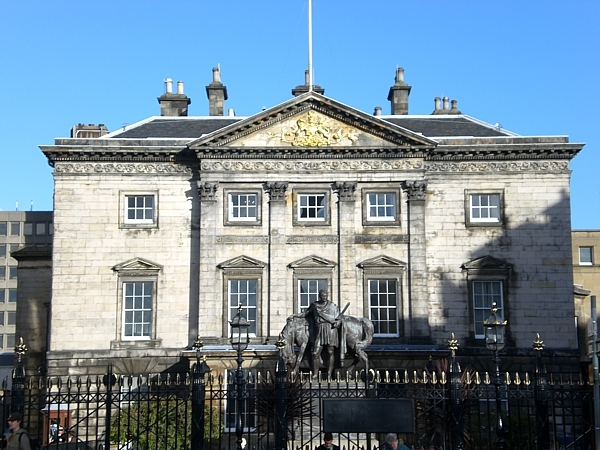 Edinburgh transformed into the sixth largest financial services centre in Europe, and is home to many large financial firms, including the Royal Bank of Scotland, the fourth largest bank in the world. Glasgow manufactures over 60% of Scotland's exported goods, and still serves as a shipbuilding centre. 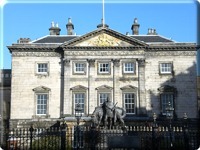 Aberdeen hosts North Sea offshore oil and gas production, housing the European Exploration and Production headquarters of global giants Shell and BP. Other major industries in Scotland include education, tourism, textile production, whisky distilling, brewing, fishing, and biotechnology. Only about one quarter of the land is under agricultural cultivation, its major centres of cropping and cereal production concentrated in Fife, Angus, Aberdeen, and the Borders. Sheep are an important livestock animal in the less arable mountainous regions of the Highlands and Southern Uplands, while Ayrshire and Dumfries and Galloway are dairy and beef centres. The Office for National Statistics measured its Gross Domestic Product at �86.3 billion in 2005, giving a per capital GDP of �16,944. The official currency of Scotland is the British Pound Sterling.